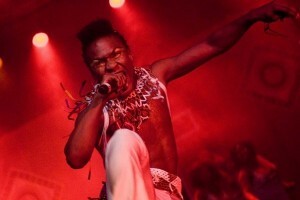 Dino has become a legendary fixture on the local circuit, and far from being quiet of late, he’s been playing the game on a much larger spectrum; producing and showcasing his music project Afroteq, a culmination of his 19 years in the industry and a celebration of all things awesome about being African. Dino takes us through his love for deep-spirited and eclectic music, showcasing the African spirit around the world and appreciating the immense culture South Africa offers us and how he’s become the ‘artful dj’- bringing music, fashion and art together. He also answers that niggling question about aging in the local dance industry. Yes, you want to give this a good read! Your taste in music has always been deep-spirited and eclectic- you seem to have found a really original niche in the industry playing the more creative corporate gigs, being involved in the fashion and art scene- how did this come about? I guess 19 years of putting my heart and soul into being the best professional DJ I can be and seeing every event big or small as a priority has helped me develop a reputation for being consistent and always delivering a product that is exceptional. I make every effort to treat all people I meet with respect and this has helped me to have support and loyalty from both the audience and event organisers in both SA and the rest of the world. I love working on concepts and sound tracking to match events and brands, thus I get called upon to work with creative teams and organisers whenever they are looking to synchronise all elements of their production into a story line with a definite message. Having taken on the role of creative director at New York fashion week and playing gigs at Perth International Arts festival in Australia among them, what are your thoughts on consciously combining art and fashion with music? When I was very young I wanted to be an actor and it was the love of music that eventually lead me to being one of SA’s first career DJs, I’ve always felt that as important as the music is, a DJ also needs to be a show or character as people come out to be entertained. I believe a DJ is an artist and therefore pushing the boundaries of what I do into art, theatre and fashion is very exciting and keeps challenging me so I never get bored or stagnate as that guy who just played music at parties all his life. Over all the years I have built up a massive music collection that is now neatly categorised on my laptop ready for action and I like nothing better than the challenge of finding the exact track to capture the moment without being commercial or doing the obvious. My mother was a fashion designer and I could sew before I could write so I have inadvertently followed fashion most of my life. 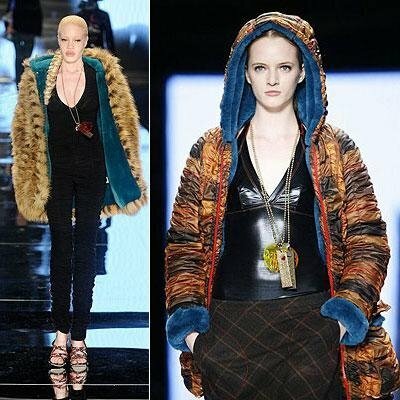 Throughout the decades music and fashion have been inseparably linked. I have all ways believed a DJ has to keep abreast of what both are doing in order to predict the next scene and lead the trends rather than follow them therefore my relationship with doing music for fashion is a natural progression and my relationship with Africa’s leading fashion event co-ordinator Jan Malan is a brilliant match as we both challenge each other and truly love what we do. 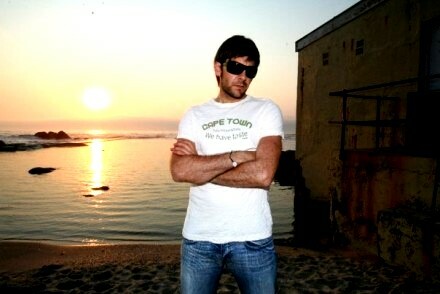 You’re an example of few local dj’s whose career stretches beyond the night club circuit and have been in the South African dance music industry for over 18 years, hosted a radio show, and played with an impressive list of internationals, what are your thoughts on ageing in the local market? It is unfortunate that the SA market receives so little international attention so making it to the top of SA doesn’t mean being recognised all over the world like it would in UK, EU or US. Unfortunately we are so far away from other existing territories that one can expand into that we are like an island at the bottom of the planet. So I play extensively overseas and am continually working to help develop the scene in neighbouring African in countries like Mozambique, Namibia and Zimbabwe as they are emerging markets and I love to travel and perform in Africa as much as I do the western world. I’ve so far played in 24 countries on the continent and abroad and can safely say that Cape Town is my favourite city in the world so instead of moving over sea to build a bigger reputation for myself I choose to rather help build the image of our country and the continent in the hope that when the world looks at Africa they think of me as one of the stand out artists from here. The logic is that when the world discovered Ibiza in the early days the top DJs on the island become synonymous with the success of Ibiza as a global destination. One of our biggest problems we are faced with is South Africa’s inherent insecurity with its own culture and style and we constantly buy into the hype surrounding artists from abroad. What we don’t realise is that the reason that an artist becomes world famous is because the support from their own country elevated them to that status and the only time I hear locals raving about one of our artists is because they have achieved an international break through and now that someone else given us a thumbs up we will buy into it too. Whenever I play in other parts of the world I only play African fusion music as i realised quite early in my career that the world is very into our vibe and find it fresh and exciting. It’s the fundamental reason why I now get booked to perform alongside people like Alicia Keys in London and Seal in Vienna because they want the cool African sound. 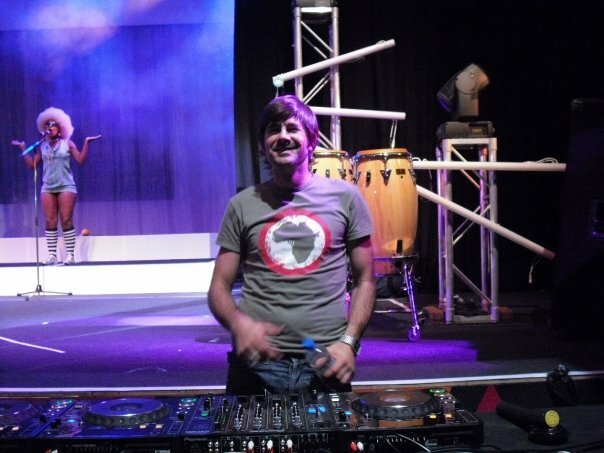 You’ve never been one of these ‘in your face’ dj’s hammering the online promotion but arguably enjoy one of the most successful careers as a South African dj. 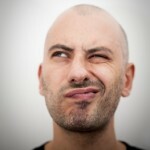 Do you think all this ‘over promotion’ unnecessary if you’re putting in the proper groundwork? I am aware of the use of on-line marketing to let people know where you are performing but have never felt comfortable with blatant self promotion as you have to buy into your own hype and become quite arrogant to do hard line self promotion. My policy has always been to put all my effort into playing the best set I can and being as down to earth and real with people as possible in the hopes that they will speak highly of me and promote me for what I am. I also worry that over promotion and hype can set unrealistic expectations of an artist and word of mouth will always be true to who you really are and allow me to surprise people as I develop and grow as an artist. Luckily so far this approach seems to be working but there is no denying that every few months there is some new kid on the block who elevates themselves to god like status via the internet steals the spot light until very often their ego’s become too big, socialising and the high life takes over, hype around their abilities subside and the rest of us continue about our business. It is an industry inconvenience but I guess such is life. Tell us about your Afroteq show concept… You’ve already taken this overseas several times and recently presented it during the World Cup. Tell us more- and how have international audiences received it? 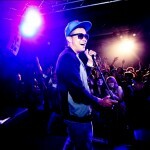 Afroteq is such an exciting project as it combines live vocals, drummers and VJ’ing with club style seamless DJing. It is a culmination of all my years in the industry, the best performers I have met and it’s a celebration of all things that we believe are awesome about being African. We are a colour blind crew who want to develop an audience of support from all races in South Africa and the world. On our recent tour to Dubai and all other performances we’ve done abroad it is received with huge support and enthusiasm from Saffers living in the countries we are performing in as it gives them a strong taste of home and something to truly be proud of. People get totally wrapped up in the show and get carried away by the energy and music, I believe there is a tribal root in all people and we help people release that spirit within. Our show is a collage of traditional songs, famous African songs and anthems and original new tracks that are sung to an up-beat house and techno set combined with dancing, drummers and mind blowing visuals. Mostly the mix of supporters who come to our shows are South Africans and their mates and open minded foreigners who are fascinated by the concept and excited about a show that totally rocks out in a modern tribal style without making any apologies for our past or caring what others think of who we are today. 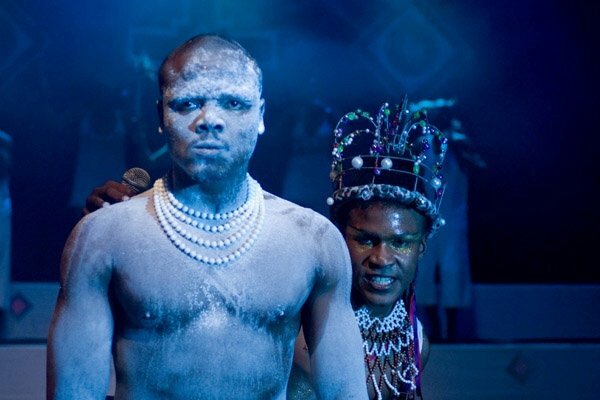 Would you say SA is still catching on to this more cultured and conceptual kind of event show/ performance based entertainment? How can we ignite more demand/support of this kind of thing in SA- get South Africa more creatively aware and appreciative of cultured electronic music? Yes I think it is prime time in SA for this kind of production and with the nationwide feeling of national pride and unity surrounding our hosting of World Cup 2010 I believe finally local support and multi cultural audiences will be better than ever. Also I think little by little we are overcoming the M-TV hype surrounding over sea’s artists and South Africans are starting to admit that the local talent is world class. So hopefully some of the ludicrous cash we have been paying for second rate international artists will start finding its way into the local market and enable us to do better shows with bigger production and thus become serious global competitors. You’ve quite interestingly always used a hand-held headphone as opposed to a pair of headphones when you play, why? How does this work better for you? Yeah I make a headphone on a stick to play with as I only ever monitor with one ear when performing so I have no need for a pair of head phones. I find the single telephone much easier to get on and off my ear when I want it and it rests comfortably out of the way on my shoulder when I am not using it. It also has a torch built into the bottom of it which often comes in handy in a dark DJ box. Also, I’ve designed ways to stop the cable breaking and the ear pieces falling off which are an ongoing problem for active DJs, so my most recent stick lasted me 8years without breaking. Recently however I was given a pair of Nixon Troopers to try out and have been enjoying using them so much due to how light weight they are, the sound quality, on cup volume control and full P.U head phone cups that can be washed and are always clean, so I’ve been seen using “Normal” headphones lately and getting a lot of questions about it. Your music artfully combines Afro-fusion sounds with modern house and world music- and the rest of the world loves it- how has your music developed over the years? Over the years my music and taste continues to change but notably the biggest change was about 10 years back when I started touring internationally and realised that it’s stupid to take sand to the beach and if I wanted to get noticed I had to bring something of my own to the party. I came back from a tour and started developing a unique style of Afro-fusion techno which is still one of my number one priorities and its continuing to develop daily. At first I focused on the tribal elements of Southern Africa but fast realised how many awesome musical cross pollinations occur throughout the continent and started developing fusion club tracks that highlight the Afro-Arabique sounds of Morocco and the Congo, Afro-Latin influences of Mozambique, Angola and Cape Verde and the French African styles of Senegal and the Ivory Coast. Each of these mutations of language mixed with the local traditional African language of a region offers unique vocal styles and ways of playing instruments found nowhere else on earth. I am continually discovering cool new sounds and one door leads to another so hopefully I will never get bored or stuck in a rut. 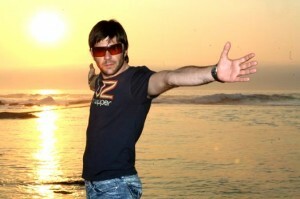 It’s important for me to point out that I am not only focussed on Africa and still buy and play western style club music so when playing in SA I also play new releases coming out of UK,US,EU and seasonally dance music is definitely influenced by Ibiza, so I play a lot of big club and international tracks too. In fact I will play anything if I like it and find the occasion to drop it! Tell us about some of the international shows you’ve played this year; you recently performed in London alongside Alicia Keys and Kasabian- how was that? It was absolutely awesome and a massive compliment for me to be invited by Alicia keys to perform alongside herself and Kasabian at her annual charity celebrity Aids fund raising event the Black Ball. Throughout the years, Alicia has shared the Black Ball stage with Bono, Annie Lennox, David Bowie, Youssou N’Dour, Gwen Stefani, Jennifer Hudson, John Mayer, Justin Timberlake, Kathleen Battle, Usher and more to create some of music histories most magical moments. Endorsees and attendees of this project include Richard Branson and Bill Clinton so being included in this list is definitely a career highlight for me. Keep a Child Alive is dedicated to providing lifesaving treatment, care and support services to children and families with HIV/AIDS in Africa and India. Keep a Child Alive is currently funding 8 clinical and orphan care sites in 5 countries: India, Kenya, Rwanda, South Africa and Uganda. Since 2003, Keep a Child Alive has funded 11 additional projects in Ethiopia, Kenya, Mali, South Africa and Zimbabwe and supports over 250 000 people so it is a great cause to give my energy too and a real compliment that they invited me. I was pleasantly surprised to find out that they had been following my work for a few years and actually was blown away that they even knew who I was. I also work closely with Lindsey Thomas of My Life who work closely rehabilitating street children in CT and have had huge success in developing incredible people from difficult beginnings. Who are some of the interesting musicians/ celebrities you’ve met and hung out with over the years and have you kind of had that moment where you look around and go ‘Wow, this is kind of crazy but it feels amazing!’? One of the most interesting celebrity hang outs I have had was with Grace Jones at New York Fashion Week. We worked together on a show and afterwards sat back stage for hrs chatting about her decades in the industry and her friendship with Michael Jackson, Mr C from the Shamen was very interesting to hang with cause he is so intense, being shown around NYC by Cevin Fisher and Oluchi is very cool cause they showed me little places you’d never have thought existed. I found Seal and Heidy Klum to be very down to earth and real when we worked together at Life Ball in Vienna. Other than that I have met quite a lot of celebrities but in most cases I choose to allow them there space and only really get into a conversation if they make the effort as I appreciate how intrusive people can be and don’t wanna be another person invading on their space. The only person I have ever really wanted to meet is Nelson Mandela and even though I have played at his birthday and Xmas parties have still not met him in person. Now I feel any energy he still has would be best spent with his family so I have happily resigned myself to letting go of that dream. And- what next? What are some of the projects you’d still like to do and what are the rest of your plans for 2010 and your Afroteq show? I am very excited about to role as music director for The Fez Club and DJ there weekly. I will be putting alot of my time into Afroteq as I truly believe it’s the future and there’s been such positive response so far. There are currently discussions about touring SA ,UK and the EU with the show in the later part of 2010 and we are currently producing some singles for radio and I’m also really looking forward to the 5FM Durban July After party this month! 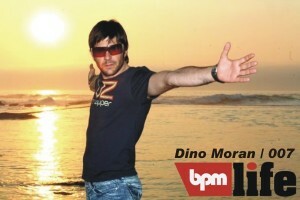 Get a fresh dose of Dino Moran’s Afrobeats on the The IDM Life Podcast. 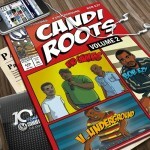 Click here to get downloading! 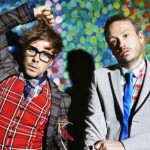 Basement Jaxx: Back to Lose their Heads in SA! 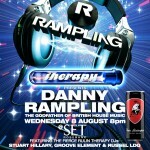 Internationally Revered DJ Danny Rampling comes to SA for THERAPY! Riva Starr: Lemonade for Everyone!